For every donation of $10, 1 person is provided with clean, safe drinking water for 10 years. bringing clean safe drinking water to developing areas. With nearly a billion people lacking access to safe drinking water and 4,500 children dying every day from water borne illnesses it is imperative more people get involved so we can reduce disease and mortality. A child dying every 20 seconds is unnecessary and unacceptable. 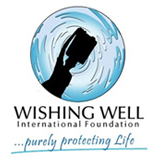 Please help us become the largest Non-Profit bringing Clean Safe Drinking Water to everyone who lacks access to it. Together we can save lives. You can simply make a Donation or GET INVOLVED by becoming a Fundraiser through your friends and contacts us, 100% of public donations are used to fund the different projects.